CHROMiX Blog - All Things Color Management Colorants (and raves) - CHROMiX Blog: Happy Birthday, CHROMiX! 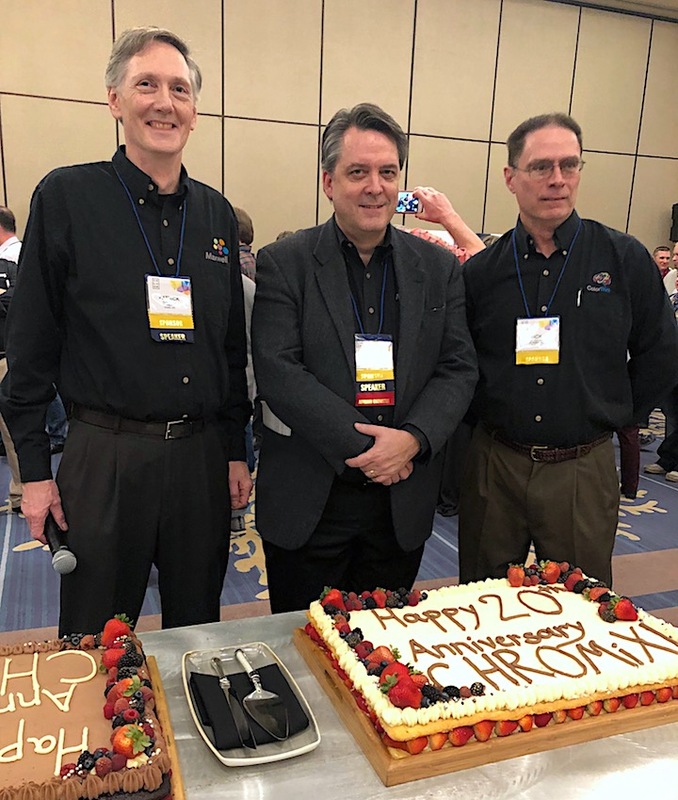 CHROMiX celebrated 20 years as a company by hosting a taste of birthday cake for everyone at the color management conference in San Diego earlier this month. For those who have never been to this conference, consider going next year - as it's a smaller, more intimate setting where you can learn more about how to improve the color in the print room, the camera, or the display on your desktop. Twenty years is actually a long time for a company to be around in the digital color world. Back when the company started, the Indigo printer was still owned by Benny Landa (before HP), the Apple Studio Display was one of the first LCD displays (a whopping 15") for $1999, and Nikon made a 2.7 megapixel camera that sold for almost $6000! We have seen a lot of development of the industry over the years and are happy to have had a hand it in.